The more popular social media platform today is YouTube. It addresses all ages, sexes and social groups and according to available data, there are 100 hours of videos uploaded every passing minute and about 30 million visits per day. YouTube, the absolute online video source, enjoys as well the second-larger search engine place behind the king, i.e. its parent company, Google. The element of interaction is what makes it so interesting to marketing purposes and now numerous companies choose YouTube to promote a wide range of products and services. But what are the reals effects of YouTube brand advertising? If you want to analyze better the impact of your YouTube campaign, just a few weeks after launching, optimize it accordingly and eventually maximize its performance, Google’s Brand Lift suggests a way to measure brand awareness and ad recall. 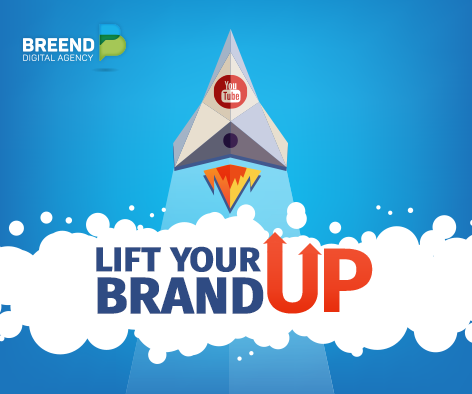 Google’s Brand Lift can give you all relevant info regarding your ads, and help you understand whether your ad raises brand awareness, as well as being recalled by consumers, so as it eventually lifts brand interest. Brand Lift uses surveys of an advanced methodology, to get feedback directly from thousands of users in real time. There are two main groups, automatically selected: a randomized group that not shown your ad, and an exposed group of users who did see your ad. Both groups are being asked the same question, with a view to precisely evaluating the brand lift caused by your campaign. Google’s Brand Lift, by measuring brand awareness and ad recall, can easily let you know how effective your ads are in driving results. Attitudinal metrics (i.e. brand awareness, ad recall, brand interest metrics), as opposed to traditional ones (i.e. clicks and conversions), indicate whether or not a user is really interested in your ad. Thus, Breend’s experts will be able to quickly provide you with detailed results and optimize your campaign most effectively. Feel like getting a Brand Lifting? Contact us and learn more about Google’s Brand Lift!